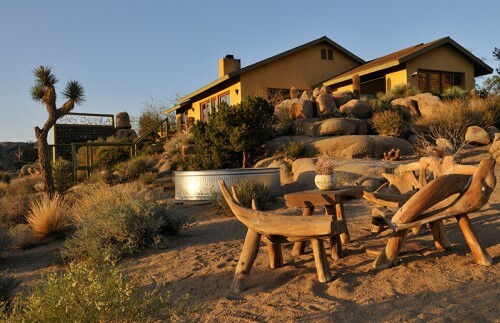 The Joshua Tree Oasis is located in the Joshua Tree CA National Park in south-eastern California. 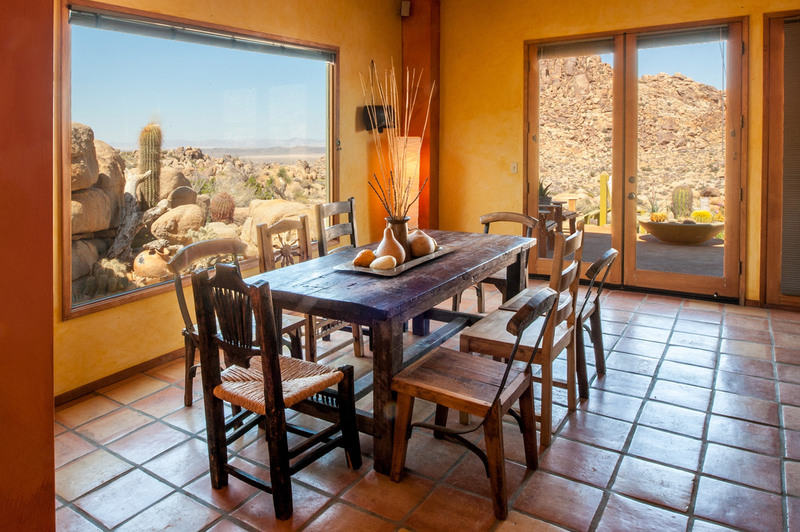 There are many reasons to come to this superb Joshua Tree lodging rental with 2 bedrooms + 2 baths (sleeps 2-4) w/detached unit (sleeps additional 2-4). There is also so much to do, from hiking to bird watching, rock climbing to mountain biking, or relaxing in the jacuzzi, cooking a BBQ, reading a book, or sitting around a campfire. Think of sleep – or catching up on the book you never finished, the journal you longed to write – with the sound of the desert winds outside your window. The “Smile of the Desert” is our lodging addition with 2 gorgeous bedrooms and full bath to accommodate an additional 2-4 guests. Once you step into your desert-home-away-from-home, the conveniences of a fully working and totally equipped kitchen are at your beck and call complete with dishes, silverware, glasses, cups, cooking utensils, pots and pans, bowls and pitchers. You bring your own meals and our state-of-the-art-kitchen will help you make them taste like gourmet scrumptious.